Reading this was a very surreal experience. Not only did I get to dive back into the amazing world of Shadowhunters, the book itself takes place very close to home – in fact, there were several places mentioned that I’ve been to before. 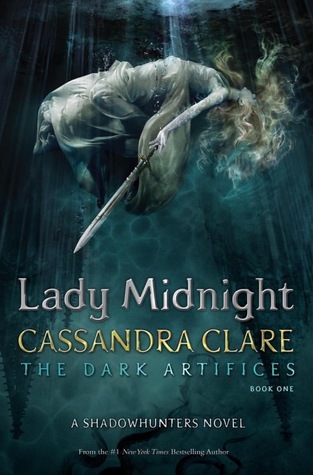 Lady Midnight, the first book in Cassandra Clare’s new Dark Artifices series, is a book that will knock your socks off (Yes, I put that in there on purpose. If you’ve read the book, you know why). 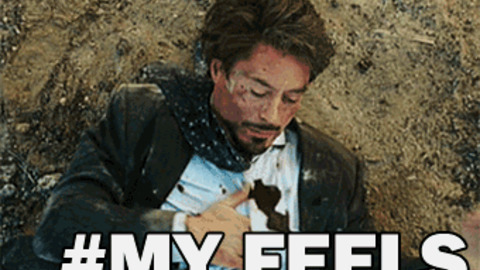 Filled with adventure, action, blazing and swoon worthy romance – not to mention a cast of characters that will both make you want to rip your hair out and bow down and kiss some feet at the same time – Lady Midnight is everything I could have wished for and so much more. I can’t really say anything about this book without spoiling practically everything from The Mortal Instruments – even the Shadowhunters Academy and The Infernal Devices. Every story plays a part in what leads up to this, The Mortal Instruments most of all. I can say this, Lady Midnight sets itself apart from her other books for two main reasons. One: our protagonist is not only fully aware of the shadow world and what it contains at the start of the book, she is also a Shadowhunter born and bred. Two: While there is romance, this book is centered completely around family – specifically, the Blackthorns whom I adore immensely. A nice little tidbit – you’re actually introduced to all of these characters in City of Heavenly Fire, so it was really awesome seeing them again in their own story. Like I said, I cannot say anything without spoiling everything for you guys. So, much like my review of Glass Sword, this review will now transform itself into gif central. That just about sums it all up. If you haven’t yet, READ IT! If you don’t plan to, READ IT ANYWAY! Get on the Shadowhunter train ya’ll, it’s one hell of a wild ride. The books are so worth it ❤ Don't be deterred by the bomb dropped at the end of book one, that's when people stop reading – but you have to push through. Yes, the first book sounds awesome and promising! I was taken aback somewhat by the mostly negative reviews on Goodreads, but there are enough positives ones to convince me that it’s worth it; I don’t really care what other reviews say, anyway. I beat to the sound of my own drum. Besides, I rarely trust overly hyped books. Thank you!! I don’t know why I never read the synopsis before..
A bomb dropped at the end, huh? I’m even more intrigued now!! You’re welcome. Okay, cool, I’ll remember to read The Internal Devices first, followed by TMI (hehe, that’s funny,) and then Shadowhunters Academy. Are there other books than that? Is The Internal Devices a prequel? If not, why do you suggest I read those first? All right, that’s cool. :) You’ll always know when I’m talking to you. The Infernal Devices is a prequel series : ) Technically, they were released after the TMI books – but if you read the fourth TMI book before Clockwork Princess you’ll spoil the entire thing. It’s best to just read them all in order. Oh wow, really? Shame on the author for spoiling the unsuspecting reader. I wonder if she’s gotten a lot of flack from those that were ignorant to the prequels.. Anytime! Are you doing Camp NaNoWriMo again?